"Absolutely the best marketing tool I've come across for boosting my subscriber list -- and rocketing my online business!" An Important bodysmall - Build credibility from the minute a customer hits your website! Opt-in List Building - Tell your visitiors about a free gift and your list will grow by leaps and bounds. 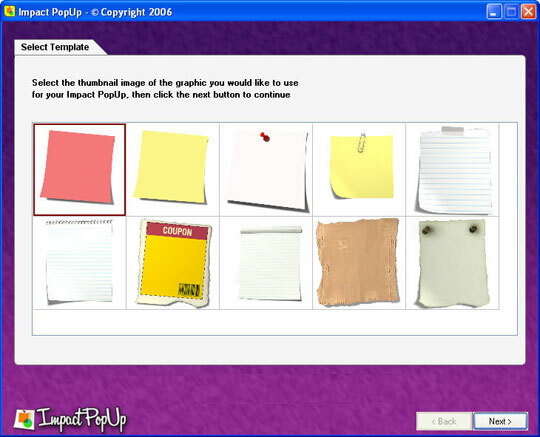 The last step in the process is to add the "Impact" poup code into an existing web page, and we've made this a snap too. If for any reason, you aren't completely satisfied with my product, just contact me within 90 days and I'll refund 100% of your purchase price. No need for explanations or excuses, just let me know and I'll refund your full purchase price on the spot. Well, we're going to do even better than that! You're not going to pay $100, you're not going to pay $90, or even $80 ... 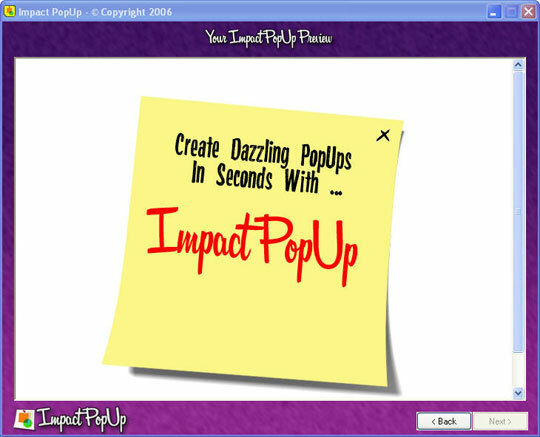 If you order right now, you can download your copy of "Impact Popup" for only $17! For the low price of only $17.00 you’ll receive this powerful, feature-packed software that allows you to virtually reach through your visitors monitors and grab their attention! You'll be creating eye-catching, profit producing popups for your web site in just minutes. You'd normally expect software with such a robust set of features to cost you three or four times as much, and that doesn't even take into account the monthly fees. 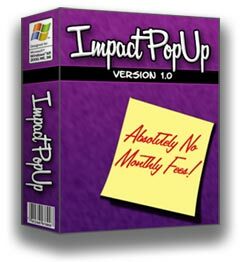 But, with "Impact PopUp" there are no hidden fees, no monthly fees, and nothing else you ever have to buy. 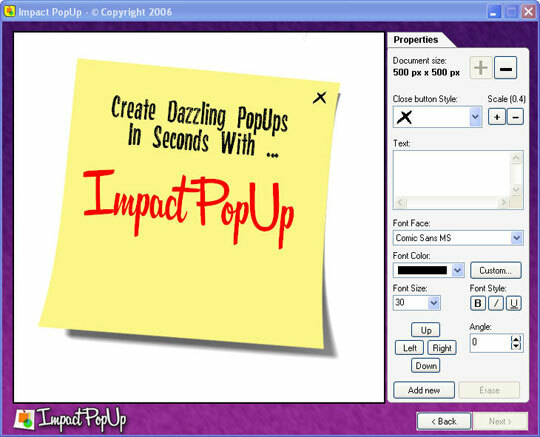 For the one-time low price of only $17 you in complete control of creating your own high-impact, unblockable popups. 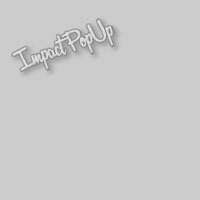 Order "Impact PopUp" right now at the incredibly low price of only $17 and you'll be making an impact where it matters the most ... your bottom line!